Subscribe to our RSS Feed and get the FTM Weekly Radio Show delivered each week. Subscribe to FTMWeekly through iTunes. 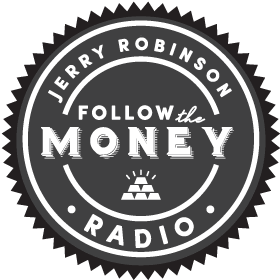 On this week’s program, FTM Weekly host Jerry Robinson discusses the failure of our modern paper monetary system and re-emphasizes the need for you to create a financial game plan. To help you prepare, Jerry outlines the five levels of the FTM Financial Philosophy. 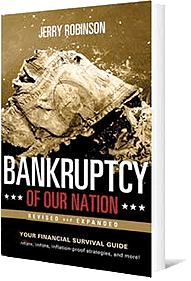 In our special guest interview, Jerry sits down with Bud Conrad, popular author and chief economist at Casey Research. 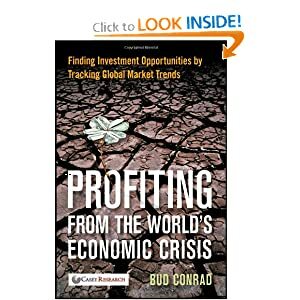 Conrad’s new book, Profiting from the World’s Economic Crisis, details specific ways that investors can profit from the economic chaos that lies ahead. And in our popular weekly segment, “Financial Strategies with John Bearss“, John discusses the importance of managing your taxes in order to protect your retirement savings. Finally, Jerry closes with his most recent stock recommendation. Bud is the Chief Economist at Casey Research and is the author of a new book entitled, Profiting from the World’s Economic Crisis: Finding Investment Opportunities by Tracking Global Market Trends. Bud holds degrees from both Harvard and Yale University.